Jack's Joint is a website devoted to the Coast Guard. On that site we found this poem about Boston and Scollay Square, which was originally published in November 1942. Did you know that the world's finest banjos were made in Scollay Square? We didn't! Learn more at this link. Tattoo aficionados have created this site devoted to the body art that helped make the Square famous around the world. Check out excerpts from the book Tattoo History Source Book: Confessions of a Tattoo Addict. Scollay Square may have been torn down, but it lives in the pages of this wonderful comic book written by our good friend (and fellow Scollay Square aficionado) Ted Slampyak. Ted sez: "Follow the continuing adventures of Harvard archaeologist Clifton M. Jennings, low-brow private eye Ace Mifflin, Prof. Carlisle, the enigmatic Nora, the perturbed Rita and the rest of the gang as they face new and mysterious adventures! Belcher's web site on Abandoned Stations is a real treat, featuring photos of an original sign from the Scollay Under T stop. A true Boston treasure, the Brattle Book Shop, on West Street, was originally located in Scollay Square. WardMaps is a small business that specializes in the digital restoration and archival printing of ward maps of American cities. Among their items for sale are originals and reproductions of maps of the ward in which Scollay Square was located. An absolutely remarkable site you have to experience, it features maps, photographs (from the Bostonian Society collection), and city records, all indexed, cross-referenced, and easily search-able. John Keith (no relation to Sally, sorry) runs a real estate blog who also created this fantastic collection of color photos of Boston during the urban renewal era. amazing ride on a trolley) taken in the very early 1900s. The world's greatest library features an amazing on line collection of photos including, of course, Scollay Square. A click on the logo above will take you to a sample of some Scollay Square images. Click HERE to go to the L.O.C. home page. This is a link to the Bostonian Society's museum and research library which collects, preserves and makes available for research materials relating to the history of Boston, from its earliest inhabitation to the present day. A site for those interested in urban planning. A user of one forum, linked above, has posted some FANTASTIC photographs of old Boston, including Scollay Square. Here is forum for discussing (and arguing) Boston development today - and in the past. 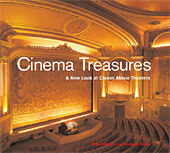 They say they're building the world's largest and most up-to-date guide to classic movie theaters, with over 9200 theaters listed so far, including the Old Howard, Casino, and Scollay Olympia. Lost Theatres of Somerville is devoted to, well, the name says it all. Featured on the site is information about an year-long exhibit exploring the history of Somerville's fourteen movie theatres. A pictorial look from Yale University of the demolition of the West End neighborhood, which was located hard by Scollay Square. They told us all about a man named Charlie. Here is the page from their website about their visit to Boston to promote the MBTA's new "Charlie card." REBOUND!, by Michael Connelly, is a fascinating look at Boston during the critical years of the busing crisis. 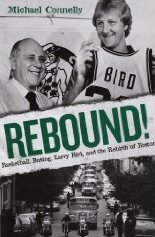 Connelly weaves urban redevelopment, race relations, and the Boston Celtics into a riveting story of a city's resurrection that includes some fascinating details about the redevelopment of Scollay Square. Trust me, it doesn't matter if you are not a basketball fan (I am not, even though I was an engineer for the Celtics' radio broadcasts in the 1980s.) Learn more on Michael's web site here. One of our favorite links is to a web site devoted a true Boston legend. He was a talk radio pioneer, a prolific songwriter, and, most famously, the long-time P.A. 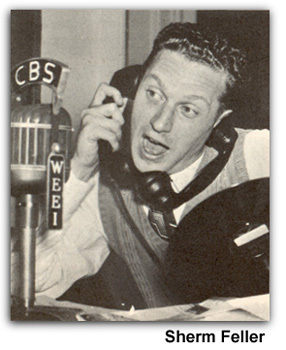 announcer at Fenway Park. Click on the picture above to learn more about Sherm Feller, at a site that also includes an article based on an interview with Mr. Feller, conducted by David. Mark B's "And This is Good Old Boston" is modestly subtitled "Boston history - sort of." It's actually a terrific compendium of off-the-beaten track items, tidbits of Boston history that often get overlooked. Charles Midlands' website is all about "memories, photos and newspaper adverts of the once grand stores of the Downtown Boston we all knew and loved." It's a fun site with tons of memories for those old enough to remember the once-great Boston downtown. 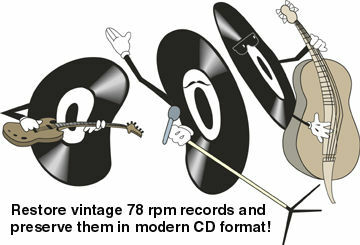 A great site for those of us with old 78s we want to play, but are afraid of scratching!